In the realm of international business, there exist many barriers to communication. Communication barriers are impediments that prevent our intended message from being received the way we intended. 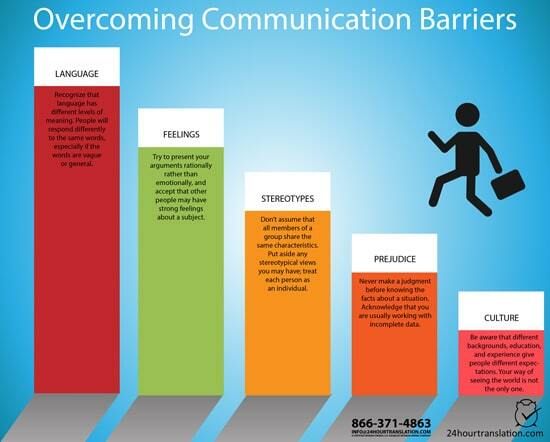 Barriers to communication can be physical, mechanical, psychological, cultural or linguistic. Some communication barriers are easy to identify distractions such as background noises and other, physical limitations and impairments such as deafness and lack of English language fluency. It is also possible that the source contains insufficient information to be interpreted correctly. In international business, the distance separating workers, different departments within an organization, diverse cultures. different legal, monetary and measurement systems and power and status relationships can all be barriers to communication. Thus, when sending messages, we must be sensitive to cultural, educational and linguistic differences that prevent our recipients from interpreting information that same way that we do. Because of individual differences, you can’t always count on a recipient hearing, seeing, tasting and smelling alike. The way people transmit and interpret information can differ based on culture. Culture consists of the beliefs, norms, traditions and languages that are learned and shared among members of a nationality, ethnicity or some other cultural group. Cultural differences within an organization can include diverse backgrounds, education, experiences and languages that cause your way of seeing the world to be different from others. Miscommunication can occur because different cultures have different ways of using and interpreting verbal and non-verbal language and behavior. Is the prejudice or favor in support or opposition to an idea, person or group compared to another before you have the necessary information to form a fair opinion. A generalization, usually exaggerated or oversimplified and often offensive, that is used to describe or distinguish a group. Often stereotyping refers to a preconceived notion that is often unflattering towards a person or group of people based on their membership in a cultural group, sexual orientation, disability, political belief, or other personal characteristic. Emotions such as nervousness, anger, anxiety, depression and tension can also be barriers to communication. When someone is filled with emotion they may fumble for words, misinterpret questions, forget key details or display non-verbal cues that can be misleading to listeners. In many instances, a little anxiety can be good because it heightens neural activity and improves performance. However, too much emotion generally hinders communication. Understand that certain subjects and situations may influence highly emotional behavior. Therefore, you should try to come to a logical and rationale decision. Language barriers are the most frequent cause of communication barriers. 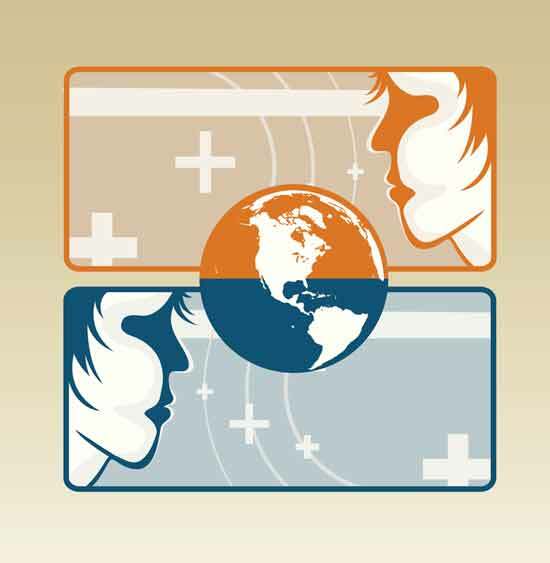 Language can be a barrier to communication particularly when the sender and recipient speak different languages, dialects or have speech impediments. While English is the language of international business, most people throughout the world don’t speak English. Even people who speak English as a second language may have difficulty understanding your message and sending messages in English. Language barriers can be easily avoided by hiring a certified translation company or interpreter to facilitate communications. The process of sending and receiving messages never guarantees that thoughts and ideas will be communicated or conveyed accurately. Even when you send a message, the message may not reach the recipient or the recipient might choose to delete it immediately upon receipt. Many different factors, including our language, culture and education impact the way we interpret the messages we send and receive. Even our own mentalities, including biases and stereotypes influence the way we respond to the world around us. Becoming a better communicator involves being able to identify the barriers to communication and how to overcome them.